CARFAX 1-Owner, GREAT MILES 13,290! 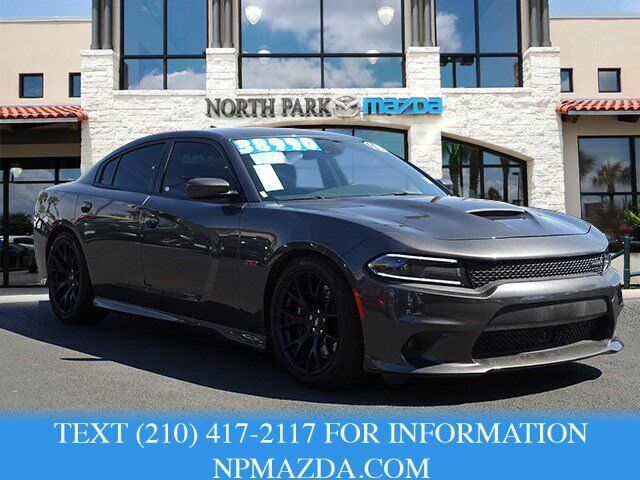 Nav System, Moonroof, Back-Up Camera, Dual Zone A/C, WiFi Hotspot, Remote Engine Start, Onboard Communications System, RADIO: UCONNECT 4C NAV W/8.4" DISPLAY... TECHNOLOGY GROUP. AND MORE! Back-Up Camera, Onboard Communications System, Remote Engine Start, Dual Zone A/C, WiFi Hotspot. Rear Spoiler, Keyless Entry, Remote Trunk Release, Steering Wheel Controls, Child Safety Locks. DYNAMICS PACKAGE Wheels: 20" x 9.5" Low-Gloss Black Forged, Pirelli Brand Tires, Anti-Lock 4-Wheel Disc 6 Piston Brakes, Tires: P275/40ZR20 AS Performance, TECHNOLOGY GROUP Auto High Beam Headlamp Control, Rain Sensitive Windshield Wipers, Exterior Mirrors w/Heating Element, Full Speed FWD Collision Warn Plus, Adaptive Cruise Control w/Stop, Blind Spot Memory/Power/Heat Mirror, Exterior Mirrors Courtesy Lamps, Auto Dim Exterior Driver Mirror, Lane Departure Warning Plus, Power Tilt/Telescope Steering Column, Advanced Brake Assist, Auto Adjust In Reverse Exterior Mirrors, Radio/Driver Seat/Mirrors Memory, Blind Spot & Cross Path Detection, POWER SUNROOF, BEATS AUDIO GROUP 10 Beats Premium Speakers w/Subwoofer, 552 Watt Amplifier, RADIO: UCONNECT 4C NAV W/8.4" DISPLAY SiriusXM Travel Link, Google Android Auto, 1-YR SiriusXM Guardian Trial, HD Radio, SiriusXM Traffic Plus, For Details, Visit DriveUconnect.com, Integrated Center Stack Radio, GPS Navigation, Media Hub (2 USB, AUX), Apple CarPlay, DRIVER CONFIDENCE GROUP Bi-Function HID Projector Head Lamps, Blind Spot Power Heated Mirror, TRANSMISSION: 8-SPEED AUTOMATIC (8HP70) (STD), ENGINE: 6.4L V8 SRT HEMI MDS (STD).